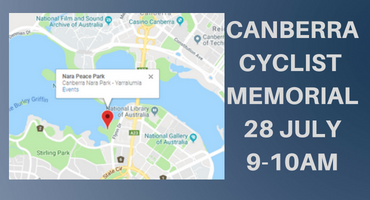 The Canberra cycling community is invited to intend a memorial ceremony in honour of Kathy Ho and Teresa Foce who tragically both lost their lives riding on our local roads this year. 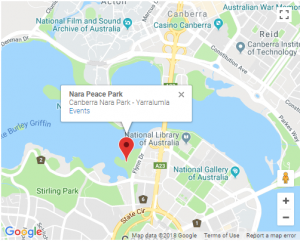 This memorial event is organised by Pedal Power ACT in conjunction with the Amy Gillett Foundation and the families of Kathy and Teresa (more…). The event is open to everyone in the community with the aim of commemorating our two riders, and reinforcing our shared responsibility and commitment to road safety and creating a safer cycling environment.